Are you a daily internet user like most of us? It might interest you that Appen is looking for people to evaluate search results on major search engines like Google, Yahoo, Bing, etc. This part-time, flexible work from home opportunity may be ideal for you. If you want more job leads like this, consider following our updates on Facebook and YouTube. This could be a great part-time income opportunity for a stay-at-home parent, retiree, or for anyone who is looking to earn some extra side income online and already has a flexible main job. This position does require you work during the week so you'll need a flexible schedule to make it work. Appen, the #1 Employer on Flexjobs’s Top 100 Employers for Flexible work, is hiring for work from home 20-hour weekly contractual roles. We offer competitive pay, free training and the ability to set your own schedule. Reside in a country listed on their careers page. Basic knowledge for installing applications, and troubleshooting and addressing software issues with limited support. All workers are required to work a minimum of 20 hours per week ( 1-4 flexible hours a day, five days per week) including one weekend day. You are hired as an independent contractor. The pay is reported to be around $13-$15 per hour. Appen sends out payments once per month, via paper check or direct deposit. 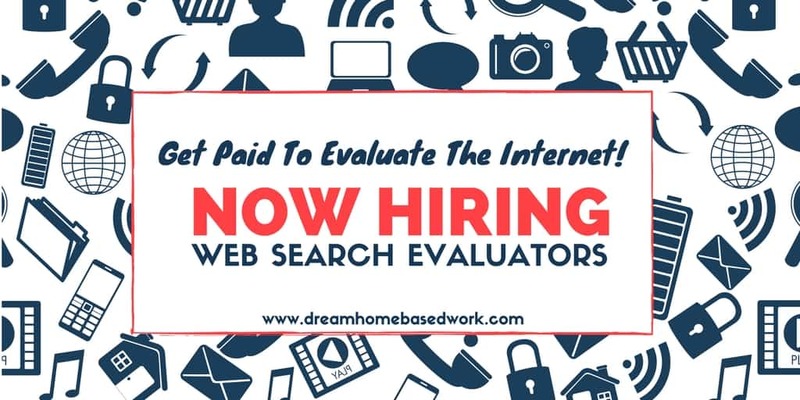 If you are interested in applying, learn more about this home-based web search evaluator position here. This listing is for US residents. Located outside the US? Check out these international jobs. As always, feel free to follow us on our Facebook page for more home-based jobs. Have you worked for Appen? How was your experience?